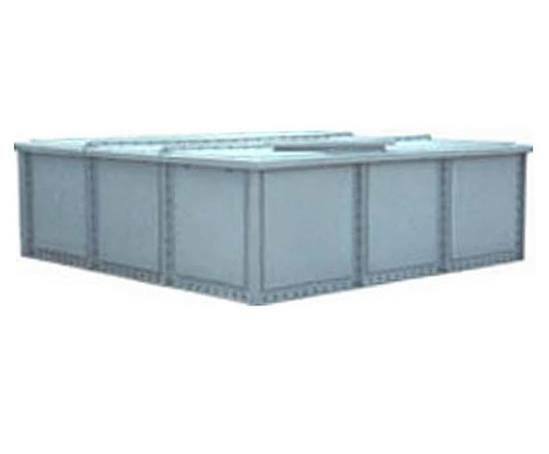 GRP sectional tanks are used for storing many different types of liquid including potable water, hot water, rainwater, chemicals, waste, grey water and sewage. The tanks are available from 45 up to 90,000 litres. They can be up to 3m in height, with no restriction on length and width. 1000x1000mm panels are standard, with specific sizes available on request. GRP sectional tanks can be supplied with or without insulation. All tanks are come complete with a sectional lid and an inspection hatch. Sectional tanks are suited to areas with limited access, where a large one-piece tank would be impossible to install. The panels are easily be moved into position and are bolted and sealed together on site by Draytons specialist team. They must be installed on a flat, fully supporting base. Tanks can be completely internally flanged, only needing a 50mm area around them for assembly. 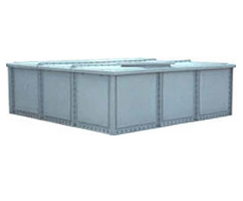 Alternatively, externally flanged tanks may have an internal or external flanged base. Tanks are manufactured to BS EN 13280:2001.